The Road Warrior and Mad Max Beyond Thunderdome both tell the tale of a former police officer in the post-nuclear war future. He remains a good man despite the fact the world around him has crumbled into a dry and horrid landscape. He meets interesting people and encounters notorious gangs in his quest for survival. 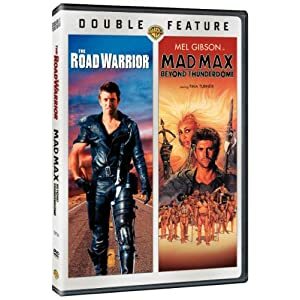 These are the last two films on the Mad Max trilogy. It is due to this set of movies that Mel Gibson became a superstar. He is very convincing in his role. These two movies are violent and full of action, enough to keep you entertained for a very long time. Get ready to be immersed in a God-forsaken world where violence and anarchy rule. Break out the popcorn!